Involved in a delicate legal situation that could affect your family? Don’t take any chances—hire a family law attorney to handle your case. The Holt Law Firm LLC has provided for the legal needs of local families for more than 16 years. Our attorney understands how difficult it is to go through the emotional pain of divorce, child custody battles or the adoption process. That’s why our team is dedicated to providing compassionate service and sound legal counsel tailored to your particular situation. We’ll keep your best interests in mind as we fight to protect what you hold near and dear. During your proceedings, we’ll make sure you understand the consequences of any decisions made in court. Schedule a consultation with the Holt Law Firm by contacting us at our New Orleans or Baton Rouge Locations. You can rely on our legal team to handle all of the above and more. 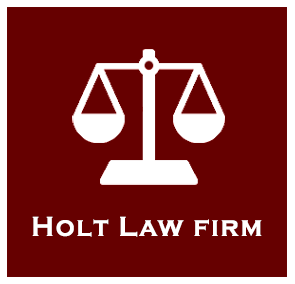 Reach out to the Holt Law Firm today to discuss your case with our attorney. You never know what the future holds—that’s why it’s important to be prepared. If you live in New Orleans, Louisiana or Baton Rouge, start planning for your family’s future by contacting the Holt Law Firm. Our estate planning attorney can draw up binding legal documents that will ensure your assets are passed on to your loved ones. You can also include detailed instructions for your burial and how to handle the rest of your estate. Make sure your family knows what to do if the worst were to happen. Schedule an appointment with the Holt Law Firm to jump-start the estate planning process. Copyright © 2019 Holt Law Firm LLC, all rights reserved.